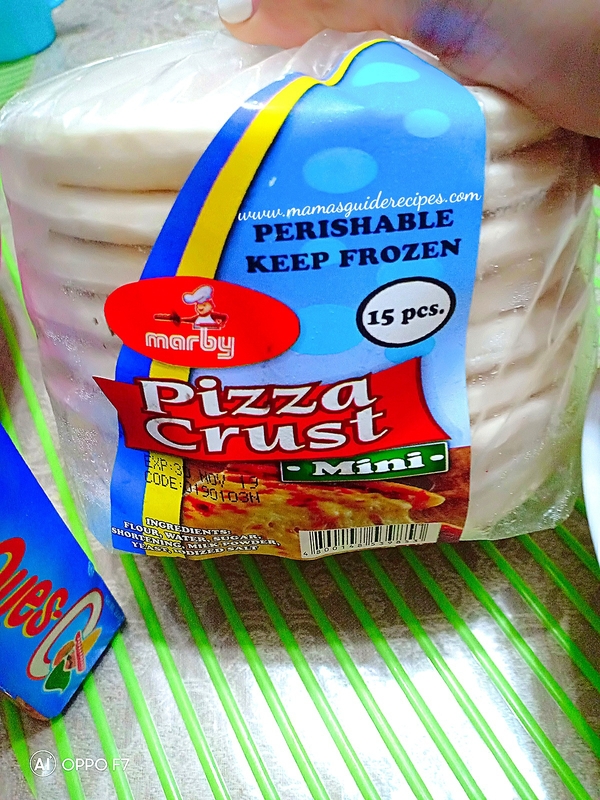 Quick and Easy Mini Hawaiian Pizza using ready made frozen pizza dough by Marby’s bake shop. I bought it at SM supermarket frozen section. Just thaw it first at room temperature before baking it. For some of you who doesn’t have an oven at home. You can still bake pizza by using a pan over a gas stove at a very low heat and just cover it. You may also use an oven toaster if you have one. Yes, anyone can make a pizza even without an oven. Remember to use very low heat to prevent dough from burning. For oven toaster, just cook it initially for 3-4 minutes and add more minutes until you get the perfect toast. Prepare a baking tray lined with baking paper. In my case I ran out baking paper so I used a foil. 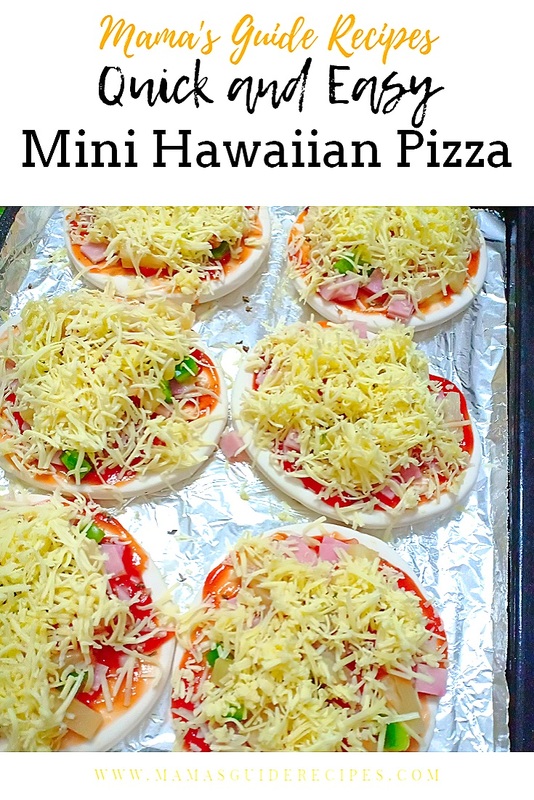 Arrange 6 mini pizza dough in a baking tray. Using spoon, start with spreading pizza sauce on top. Sprinkle some garlic powder and dried basil leaves on top. Add minced garlic around the pizza dough, followed by bell peppers, ham, tidbits and grated cheese. Bake it for not more than 5-7 minutes. Don’t wait for the cheese to melt. 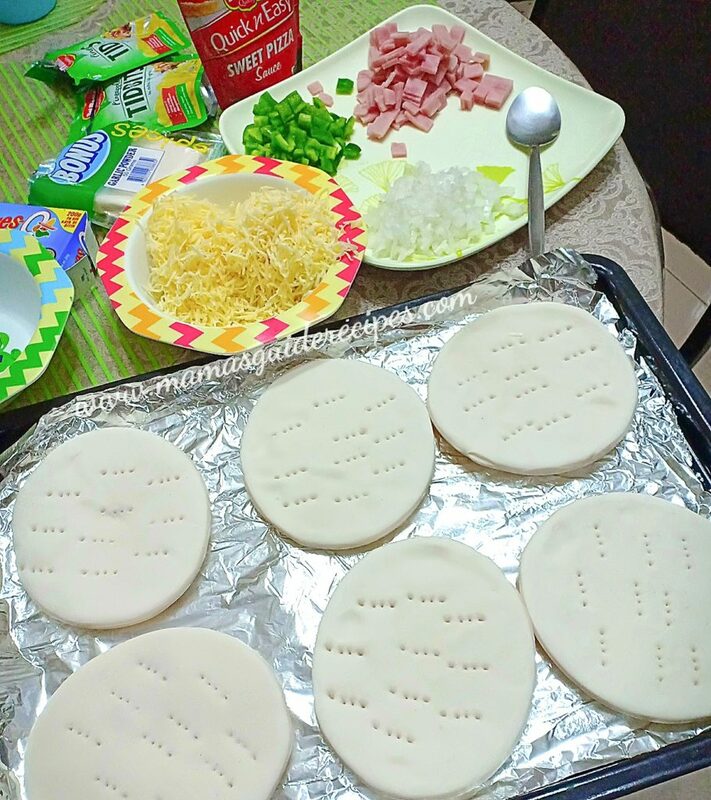 It won’t melt unless you use other type of cheese like quick melt ot mozzarella cheese. Serve hot and enjoy!